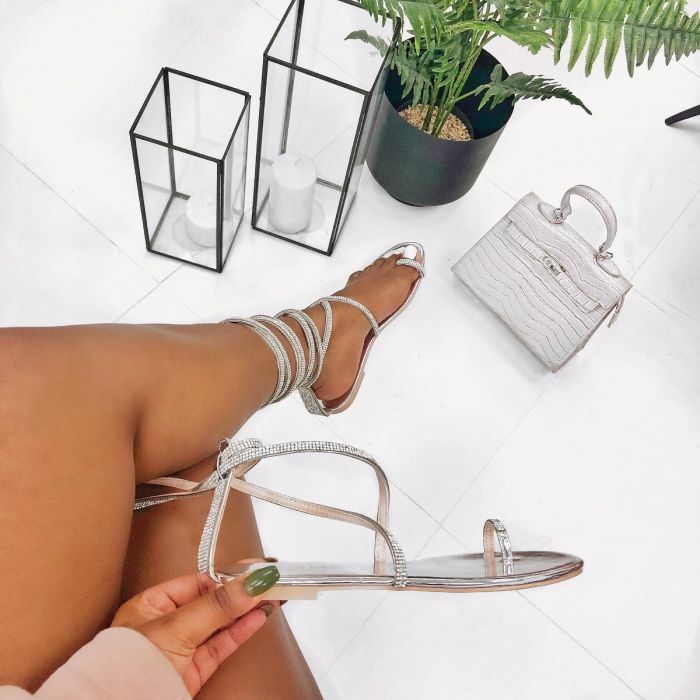 Available in black suede, rose gold, and silver, this new summer sandal from Simmi Shoes will make your summer days better than ever. This style features toe loop and diamante crossover lace up straps. How would you style these shoes?